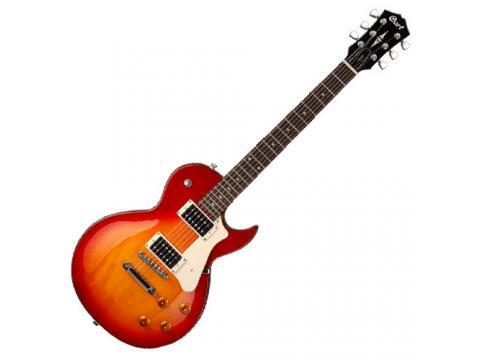 Cort CR100 LP Style Electric Guitar features Mahogany Body with carved Maple Top & specially designed ClassicRocker pickups for an authentic vintage rock sound. 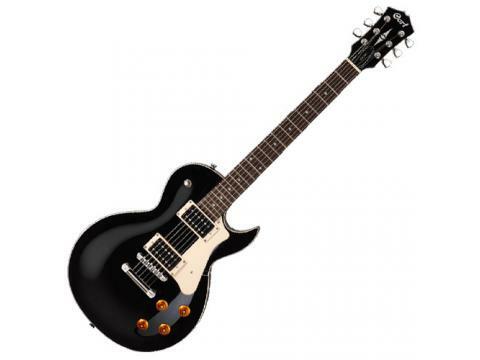 The Cort CR100 LP Style Guitar features a single cutaway Mahohany body with carved maple top. The Classic Rock Series delivers the look, feel and performance of the much sought-after vintage instruments from the Golden Era of electric guitars. At the heart of each CR Series guitar is the specially designed ClassicRocker pickups for an authentic vintage rock sound and response. The Powersound PSLP-1F & PSLP-1R (H-H) pickups provide classic humbucker punch and tone with a quality/value ratio that cannot be beat. Finish in High Gloss the CR100 is available in Black or Cherry Red Sunburst.